Concept and prototype vehicles are notoriously ugly, often times for no good reason other than to look so out-of-place that you can’t help but notice them (pro tip to automakers – that’s an idiotic idea). Occasionally, however, such vehicles are hard on the eyes out of necessity. Take the Ford Fusion Hybrid, for example. Early iterations of Ford’s self-driving test vehicle were equipped with roof-mounted assemblies that housed various cameras and sensors needed for autonomous driving. With more than three years of research under its belt, Ford has taken everything it learned and rolled it into a brand new autonomous development vehicle that’s ready to hit the roads. 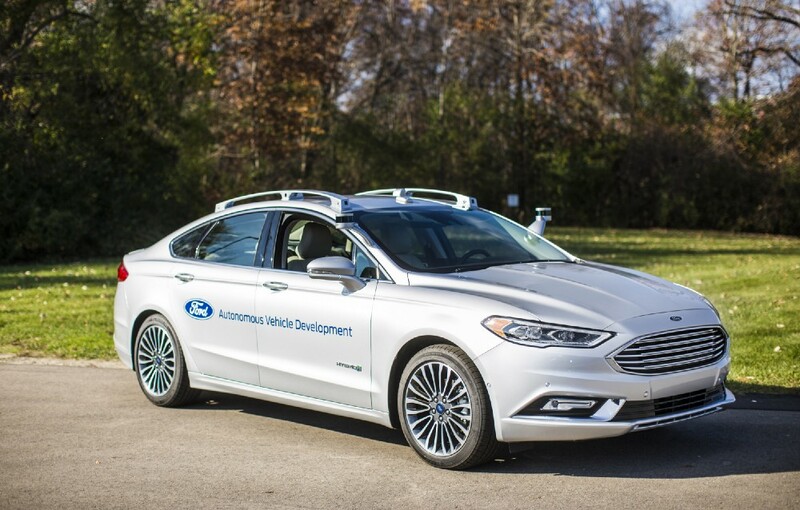 In unveiling the next-gen Ford Fusion Hybrid on Medium, Chris Brewer, Chief Program Engineer, Ford Autonomous Vehicle Development, said the vehicle uses Ford’s current autonomous vehicle platform albeit with new computer hardware for improved processing performance. What’s more, the electrical controls are closer to production-ready while new LiDAR sensors with a sleeker design and more targeted field of vision enabled Ford to get away with using just two sensors instead of four. As a whole, the system has a sensing range of roughly the length of two football fields in every direction which generates a terabyte of data per hour. The result is a roof-mounted system that somewhat resembles luggage racks commonly found atop many vehicles. From a distance, the only thing that really gives away the fact that it’s a self-driving car is the LiDAR sensor mounted on the driver’s side A-pillar. Ford says it aims to produce a fully autonomous, steering wheel- and pedal-less vehicle by 2021 for ride-sharing and ride-hailing services. The next-gen Fusion Hybrid will make an appearance at CES in Las Vegas next week.